You left out what the people of Australia did in response to their last mass shooting. Exactly what America ought to do. Rifles toke much longer to load, and were very fragil. And to be technical, their wasn’t really standard military issue weapons at the time, volunteers where expected to bring their own weapons generally. At best 8-16 targets with some amount of collateral due to the effect to the pellets spreading out. And Buck shot is less likely to kill then .223 rounds at anything but close range where the spread of the pellets will be low. The ballistics of the rounds are very different as well, the small but high velocity .223 rounds transfer a great deal of concussive force on impact can often ricochet off bones causing lethal hits even when not hitting a vital location, A single .223 round hitting the bone in the limb of a 5 year old could very easily rip the limb off, tho probably not cleanly. And the .223 is rather on the light end of assault rifles, take the AN-94, replacement for the Russian made AK-47, has a special selective fire mode that allows the weapon to discharge 2 rounds in such rapid succession that the second round is fired before the first round has left the end of the barrel. And the ammo for the AN-94 is design to corkscrew rather then simply spin, an innovation that makes wounds that are much more difficult to deal with and more likely to be deadly. 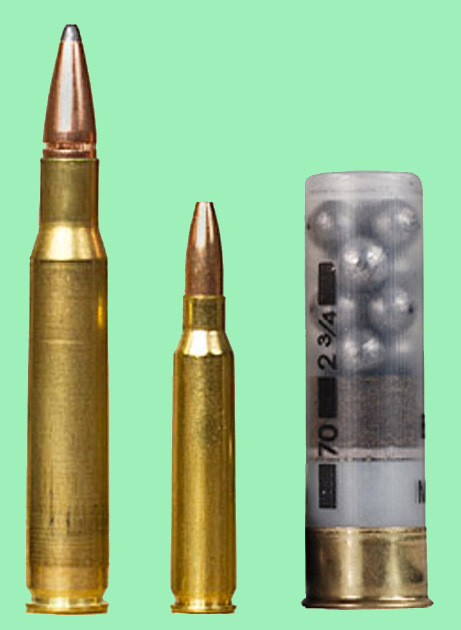 This is incorrect, assault rifle ammo often has stronger powder mixtures, and the caliber has nothing to do with the recoil, in fact rifling has naturally worse recoil because the bullet is design to grip the spiral rifling pattern inside the barrel to cause it to spin in order to improve accuracy, revolutionary war rifles were very difficult to load due to this, shoving the lead ball down the barrel which the ball has to grip as it exits, without distorting the shape of the ball in the process, leading to longer loading times. The reason assault weapons typically have lower recoil, is because they use recoil suppression systems, often using the high pressure gas from the ignition of the bullet to push a weighted piston, which is convenient for automatic loading of the next round or out right automatic fire. Actually, good example of the recoil bit, go watch an old movie about 1930’s era mobsters, watch the actors fire the tommy gun, you will notice that the barrel tends to stay level and generally under control. This is because in the movies they use blank rounds instead of slug rounds(no lead catching the rifling).